Once we had crossed the border from Belize to Mexico (with a brand new facility on the Mexican side, with state of the art technology) we headed for Chetumal. 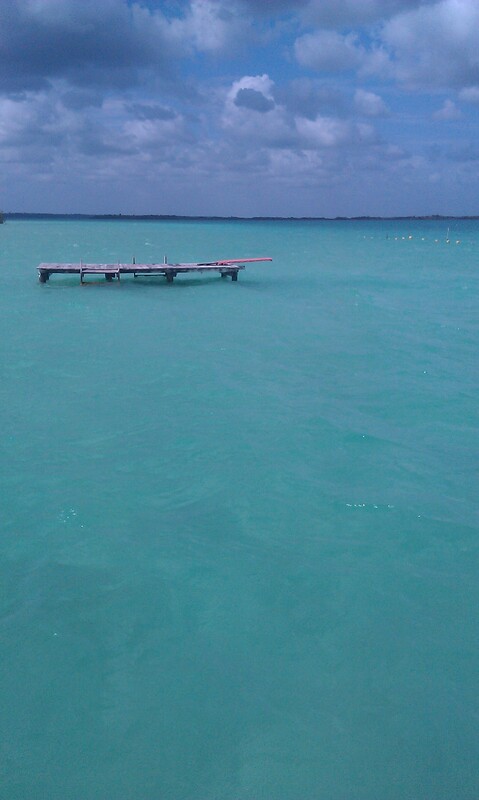 From Chetumal, we took a 30 min bus to Laguna Bacalar. 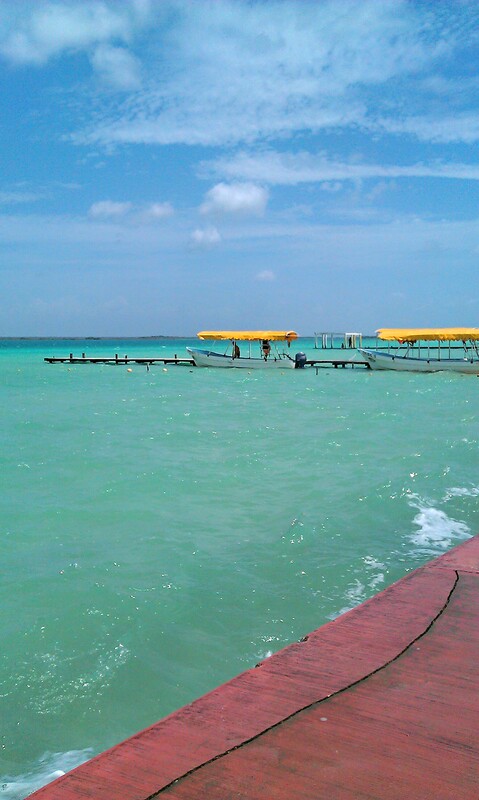 Bacalar is a quiet village surrounding Mexico’s second largest freshwater lake. 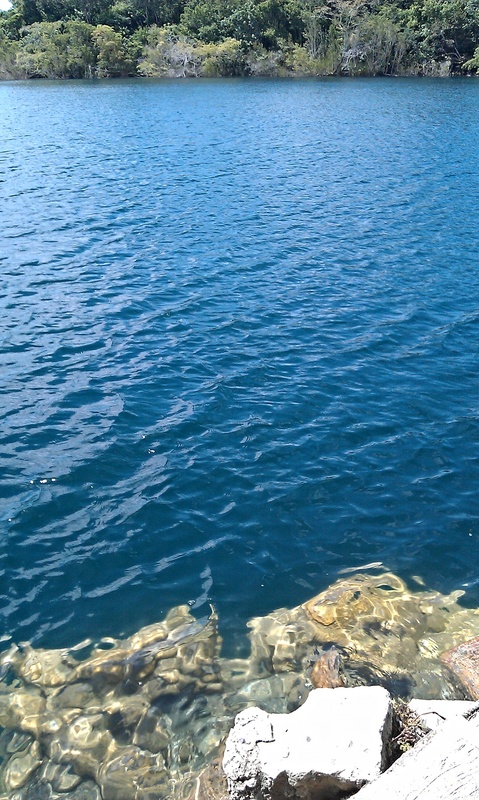 The lake is known as the lake of ‘7 colours of blue’. As it is named, the water has a beautiful range of colours: green by the reeds; turquoise near the shore, through a range of blues to deep blue further out. Houses, places to stay & restaurants border the lake in the village. However, there are several places the public can go to swim. 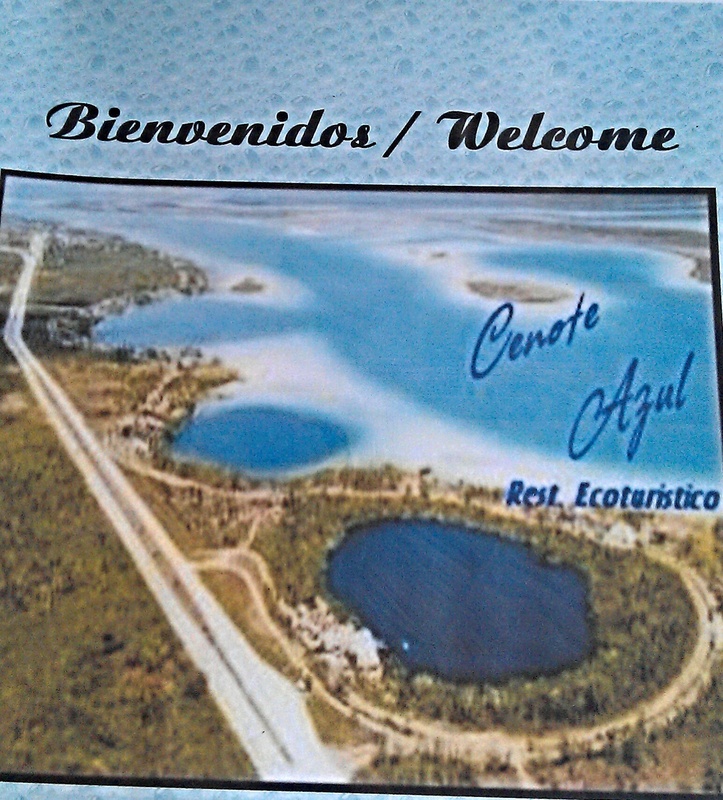 There are also two cenotes nearby (limestone sinkholes filled with water, common in Yucatan). 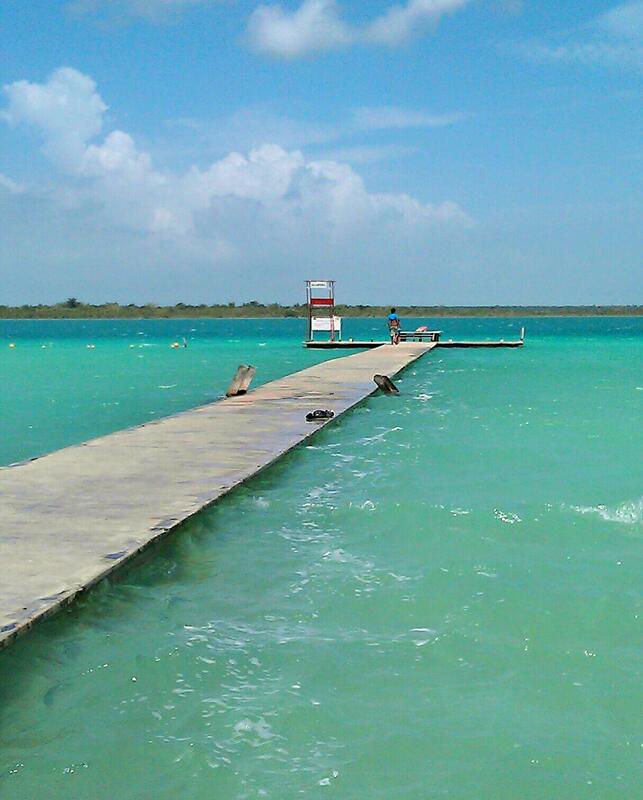 The one pictured below: Cenote Azul, is 300ft deep & if not the deepest in Yucatan, it is said that it is the clearest. Colin snorkelled it & spent hours gazing at the limescale cliff face, endlessly falling beneath him. The village is fairly quiet with few tourists which is great, as we prefer local life. There are a few restaurants & cafes in which to eat. 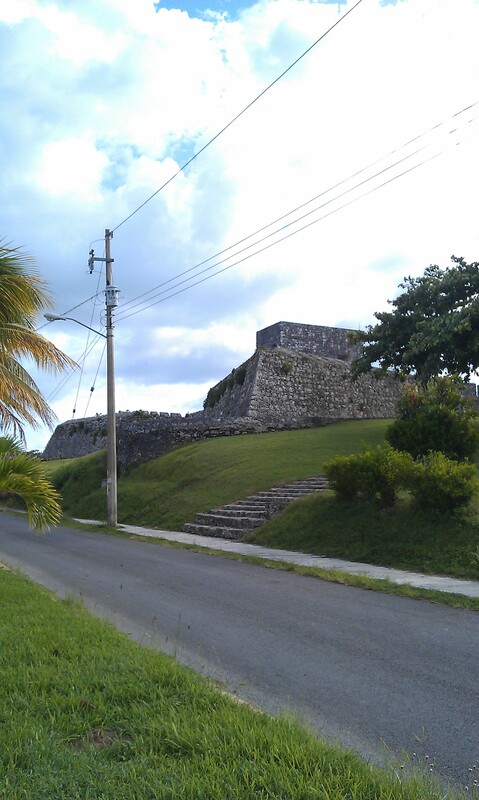 Sunset is the busiest time of day, when all the locals collect in the park or sit by the fort to watch the sun go down. Looking forward to seeing more photos of amazing sunsets:)!